Our Daycare and Boarding dogs are mixed together as a group, and experience social time and play time throughout each day. Our well experienced staff can take care of any special needs your dog may have. We have additional services (see below) to make your dog's stay even more restful, relaxing and fun. 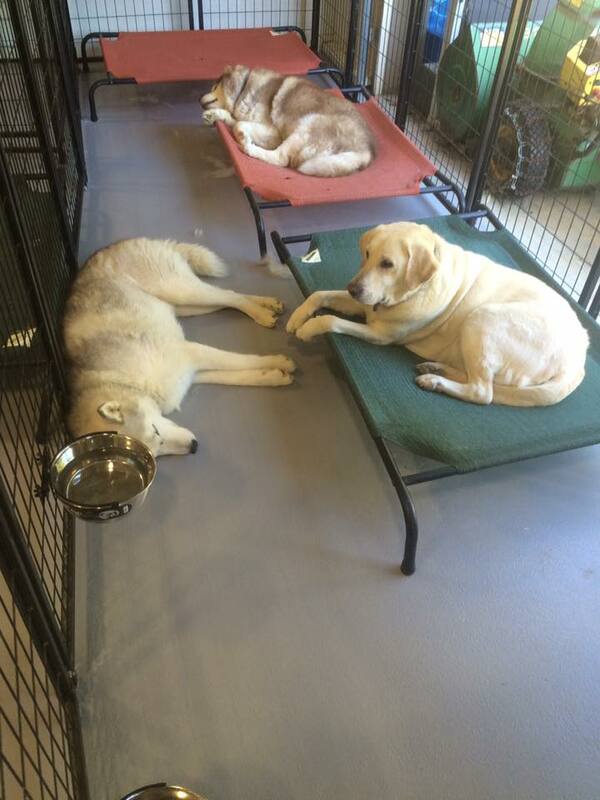 All dogs will have access to a raised chew-proof Kuranda bed. What Should Your Dog Bring for Boarding? - FOOD: If your dog eats raw food, please pack it in labeled individual containers for each meal or original bag/container. If your dog eats dry food, please pack it in a large, labeled plastic container or original bag/container. *Send extra food just in case you are delayed getting home. Please, NO plastic shopping bags! - SUPPLEMENTS/MEDICATIONS: Send in the original, labeled bottle with name and directions. Please send extra doses in the event your trip home is delayed. - BED OR BEDDING: We provide a Kuranda Bed for every dog. We do not encourage bringing your own bed due to the chance your dog might decide to chew on it (even if they never have before). - CHEW TOYS: Any hard toys (like a Kong) or Nyla Bones are okay. Please do not bring soft, stuffed animals or toys, real bones or rawhides. - Please DO NOT bring bowls or scoops. Disclaimer: Any dogs that have had surgery and/or major illness need clearance from your vet stating that they can resume regular activity. Please have your vet email or call us. + If my dog is Boarding, do I need to bring food? + I have 2 dogs, can they stay in the same Den? Yes, unless they are large breed dogs. + Do I need to bring my dog’s bowl? We have plenty of dishes here - please leave your dishes at home. + Where does my dog stay while boarding? 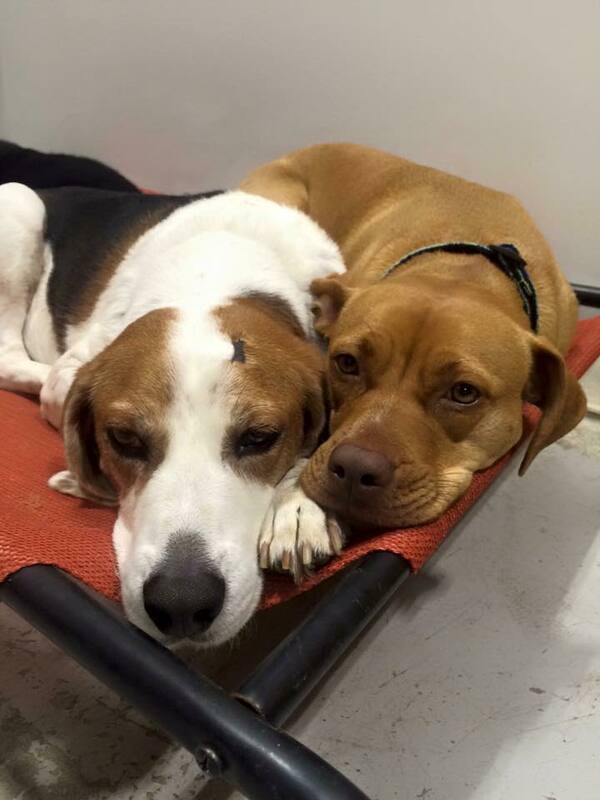 During the evening hours, your dog will stay in one of our 4’x4’x6’ wire dens. They will have 24-hour access to water. A staff member will come in between 8pm-10pm to let all the dogs out one last time before the overnight. Drop offs for ALL BOARDING DOGS are in the MORNING ONLY!! Please drop your dog off Mon - Fri 7 - 9am or Sat - Sun 8 - 10am. Pick-up times on Weekdays are 7 - 9am or 3 - 5:30pm. Sat - Sun pick-up times are 8 - 10am or 3 - 5pm. + Can I bring toys, treats, or bedding? Hard toys (like Nyla bones) are ok, but please do not bring soft toys or bedding. Also we cannot take responsibility for damage to your dog's toys. + Does my dog need a leash and/or collar? Yes, please have a leash and collar on your dog. We do not accept the following collars: Prong, choke chain, e-collar, invisible fence collar, martingale collar, or belt-buckle type collars. Please do not bring your dog on a retractable leash or harness.